As vanguards of intellectual freedom, public libraries face difficult questions regarding what vaccine materials to make available. How to decide? Local public libraries are at least nominally committed to serving everyone in a community, regardless of their views. Local libraries might play a pivotal role in spreading misinformation if personnel are not properly trained, or if materials are presented without qualification. Books and other media espousing a link between autism and vaccines, or other anti-vaccination positions, are plentiful. But should libraries carry them, and if so, how to present them? UPDATE: An earlier version of this piece incorrectly noted the abbreviation for the American Academy of Pediatrics. It is the AAP, not the APA. Thank goodness I’m an academic librarian and do not really have to deal with these issues. However, if I worked in the public library realm, I don’t think I would pull books already in the collection, but I definitely wouldn’t purchase anti-vaxine related books unless written by experts in the field of medicine. So I wouldn’t purchase Jenny McCarthy’s books but one written by an actual medical professional, I would consider adding to the collection to provide all sides of an issue. I personally believe that vaccines are absolutely necessary in maintaining public health and because this is such a controversial issue that can affect public health on such a large scale, I would definitely pay careful attention to who is writing the information of books purchased with public funds, in most cases. I don’t believe in censoring topics in almost any circumstance, no matter how ridiculous they may seem. However, I think it is valid to be very mindful when adding books to a public library collection that can have an effect on public health on a massive scale. Books written by doctors or other medical professionals, to provide arguments against vaccines based on actual evidence is one thing. Books celebrities who think their children are vaccine injured is another and is dangerous in my opinion. Remember, Jenny McCarthy’s children turned out to not be on the autism spectrum. The Vaccine Reaction Newsletter which is published by the NVIC, the National Vaccination Information Center, is populated with a diverse array of opposing viewpoint articles, many of which are written by accredited and/or licensed medical professionals. This is the information people should review for astute analysis written by people whom do not have conflict of interest concerns. Then make up your own mind after reviewing non censored information. But it will be a miracle if this comment goes through, because the issue is censorship, and I just talked about a broadly censored informational source that goes directly against the multi billion dollar pharma industry. Librarians have a responsibility to protect access. The reason libraries keep titles like this when commercial entities stop selling it (and count Hoopla in that category, since they charge libraries per view) is that the public still has the right to see the content, and libraries allow that without the author continuing to profit. For example, this journalist should have access to the work that is being discussed. Professionals may want to see what’s presented in order to form a counter-argument. Commercial sites refuse to sell in order to cut profit from the author(s) of such work. Libraries make sure that censorship isn’t part of it. A request to have access to the work doesn’t mean that the reader will believe it, after all. People have a wide range of reasons for wanting to see any book in a library collection. Americans have the right to see what comes from the press–and they are free to decide for themselves what to think. Libraries are in the business of access–either through their local collection or through inter-library loan. 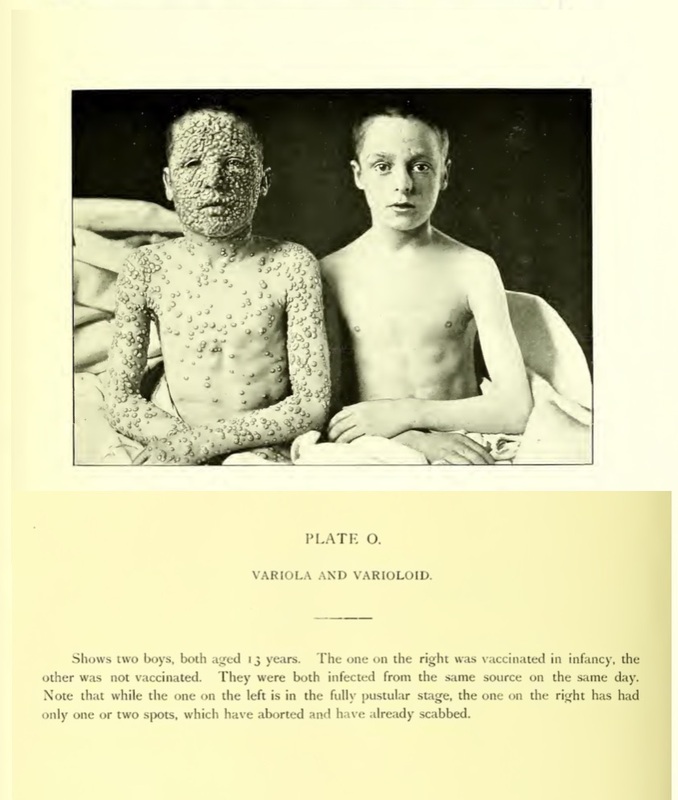 First of all, let’s look at a little history, like the 1800s when people – especially children – died each year by the communicable illnesses such as TB (“consumption), whooping cough, diphtheria. And let’s not forget polio – feel like spending the rest of your lives in an iron lung? Too bad American’s have such an issue with learning history. So ignorant. Go ahead, stop all people from getting vaccinated and let’s see our increasing longevity plummet. The reason why people had so many children in the past was because they lost them so easily to the very diseases for which we are vaccinated. And they didn’t die from vague, unverifiable connections like “vaccine may cause autism, or maybe even cancer.” They’d go to bed with a fever, and die by morning. We take this for granted, but boy, would there be panic and mayhem if those diseases started wiping us all out again. Second thing, I am a librarian, so I can tell you we are responsible to an extent for the information on our shelves. Would I stock Mein Kampf on my shelves when many of patrons are Jewish? Would I think twice about buying a book that say, denied the reality of 911, or proposed that it was a government job? You bet! In terms of anti-vaccine content, I probably wouldn’t pull it, but I would sure as heck have plenty of sources right alongside that counter this dangerous bolderdash! reminds me of the discussion about including books on creationism: libraries can offer those books, but catalog them in Religion instead of Science. As a librarian, I say this is a no-brainer. There is no argument for “intellectual freedom” here. This is dangerous nonsense and public libraries should play no part in its dissemination. Reading the comments from all the anti-vaccine nobodies puts a smile on my face. Fantastic way to start my day! Heartening to see such thoughtful replies by informed people! I always say, real science will win in the end. Inclusive of this is new physics and energy source technologies. Lack of real knowledge and open-minded research are the only blocks to enlightenment, and we do need more enlightened in this country of ours that is so young, impulsive and uneducated in the real sense. There are indications of new medicine that will actually eradicate disease of every kind safely and non-invasively, and it is not by injecting dangerous chemicals and pathogens directly into the blood stream. Commercial interests have been destroying our health and our environment since the industrial revolution. They have to be reined in, which is why we need a social democratic political structure to protect human health and well-being. Unrestrained capitalism is killing us all. Vaccines aren’t injected directly into the bloodstream. public health officials like Swanson of the American Academy of Pediatrics stated: “I support their choice at not distributing something that could cause harm.” Perfect. Tell vaccine manufacturers to stop distributing their vaccines because these do cause harm. Books belong in libraries, ALL books. Are we really talking about book banning/burning because the narrative of these books is contrary to pharmaceutical interests? Is this Nazi Germany or America? Thank you for saying that. I do not like the justifications ALA and the like are starting to use to support certain narratives and silence others. This is the antithesis of librarianship and I for one will not play a part. Whenever I buy materials of a controversial nature I always make sure to purchase works from both sides of the issue. It is up to the patron to decide which argument they want to peruse not me. Taking people’s voice away is one of the scariest things any organization can do. You make everything available and people do their own research and make up their own minds. Libraries don’t get to decide what is worthy or appropriate for it’s patrons to read and learn and know. They are the centers of free speach and free access to information. Vital for a free society. To fulfill their purpose they need books both for and against every topic possible. Why will those who claim they have ‘the science’ on their side never engage in a fair, even and open debate. Robert F Kennedy Jr. was to debate ‘a panel’ of vaccine ‘pushers’ but low and behold at the last minute they were ‘persuaded’ to skip the rigours of ONE lonely voice with concerns about ‘their science’. There is a plethora of research showing just how damaging vaccines are to many people, especially the children who are too young to articulate how they are feeling after the vaccinations. This is nothing but ‘censorship’ to protect those that really are making the money from this vial medical mantra. pHARMa is making billions which they share with politicians as well as the MSM as ‘hush money’. Ah yes infallible science; it has never led us astray. Never caused accidental deaths or birth defects; never ever been subject to influence by the rich and powerful. Perhaps the Earth really is the center of the universe after all. Let’s go back to routine x-rays for pregnant women, dope them up and strap them down in labor. The data doesn’t lie. Who gets to decide what is “misinformation?” Vaxxed is a documentary about a CDC Whistleblower who presented 10,000 pages of documents to Congressman Posey about fraud with an MMR safety study. Posey stood on the House Floor and begged his fellow representatives to subpoena Thompson so the truth could come out, but as we all know, many in Congress are heavily funded by the pharmaceutical industry, and we are still waiting. Thompson continues to work at the CDC under whistleblower protection, unable to speak. Is this misinformation? A CDC cited study? The media and public health officials who fear undermining faith in the vaccine program are working overtime to silence very real science and very real concerns about vaccine products and unintended consequences of vaccination programs. But you only have to scratch the surface of the science to see that the pertussis vaccine is utterly failing, that whooping cough is breaking out in fully vaccinated students, and that Merck is on trial for fraud issues related to the MMR, Gardasil, and more. Vaccines are potent pharmaceuticals DESIGNED to provoke an immune response. As with any product, there will be non-responders and over-responders. There will be injuries, and there are hundreds of injuries possible, many of them autoimmune, not just the hotly disputed autism. Most of these injuries are not denied by the CDC — it is only the frequency at which they happen that is in dispute. Because truth is being labelled misinformation, and now censoring is beginning, distrust in vaccines and vaccination programs are growing. This is not good for anybody, least of all for a free society founded on freedom of speech. During the March 5th Health Education Labor, and Pensions Committee meeting entitled “Vaccines Save Lives: What Is Driving Preventable Disease Outbreaks?” in your opening remarks before that committee you made several statements which I believe you cannot factually support but which do greatly affect public health and therefore must be addressed legally. You said “vaccines are safe”. It is quite apparent to me that no safe product requires liability protection to be enabled to exist. Vaccination does require and does have this liability protection and therefore I believe this class of medical products are unsafe. I believe that the pubic awareness of these safety issues are currently being greatly repressed by the very unique National Vaccine Injury Compensation Program where Health and Human Services guards the artificial inoculation medical products programs by avoiding the discovery process of the normal legal tort proceedings. At the time that the National Childhood Vaccine Injury Act (NCVIA) of 1986 (42 U.S.C. §§ 300aa-1 to 300aa-34) was created the programs using vaccination were in the process of dying an appropriate legal death. I believe that we were profoundly unwise to delay that appropriate legal death. The rationalization that supposedly justified the use of this liability limitation was that vaccination supposedly reduced the rate of death, disability, and disease by taking on one distinct individual pathogen at a time. As I am aware that there are currently some one thousand four hundred individual distinct potential pathogens that we are aware of at this time and that that this list likely sees only a very small percentage of what nature could use blocking a few dozen of these likely thousands appears to be an effort quite vain. I believe that if you block one you save none. Nature will always adapt and easily substitute from her host. You must measure the overall outcomes to determine what your medical product is actually doing. To find out if using the artificial inoculation medical products actually does reduce the overall rates of death, disease, and disability we would need studies which looked at otherwise similar populations which did and do not use our artificial inoculation medical products and those which do use the artificial inoculation medical products. Then we could accurately measure the true effects. There is no other way to actually justify the use of the artificial inoculation medical products than to actually measure the true overall effects. There is currently no comparative measurement of the overall death rates of those who do not use the artificial inoculation medical products compared to those who do. Therefore there is no data to justify the statement that “vaccines save lives” as we simply do not know if they do or not. There is no proof that they reduce the overall rates of diseases but there is some evidence that they greatly increase the rates of diseases. There is no proof that they reduce the overall rate of disability. So there actually was no justification to delay the appropriate legal death of the vaccination programs. At any rate to say that these untested artificial inoculation medical products are safe is unsupportable with our current data and so I believe that it is not legal to do so. To say that they save lives is unproven and so it is not legal to say this as well. Please stop spreading this misinformation! Please do bring back tort liability for vaccine caused injury. Almost unknown as it is the highly occulted Vaccine Injury Trust Fund paid out $4,061,322,557.08 (Posey’s Letter to Zuckerberg). This has happened in spite of the fact that the legal requirement for reporting vaccine injuries is apparently so well hidden (occulted) that it is often reported that Pediatricians do not understand their legal obligation to report adverse reactions much less what to look for from the Vaccine Injury Table (42 U.S. Code § 300aa–14). Please draft the laws putting teeth in and expanding the adverse event reporting laws nation wide. This is not just a “passive system” this is an occulted passive system such that the true extent of the underreporting of vaccine injuries is unknown. Not only is the National Vaccine Injury Compensation Program “Court of Special Masters” nearly unknown it is also alleged that fraud of great magnitude has happened during massive proceedings there. It is alleged that during the Omnibus Autism Proceeding (OAP) in that court expert testimony was fraudulently disregarded. So recently Robert F. Kennedy Jr. and Rolf Hazlehurst filed a petition “Re: Request for investigation of fraud and obstruction of justice by HHS and the United States Department of Justice officials that deprived over 5400 children of compensation for their vaccine injuries in the Omnibus Autism Proceeding. This fraud and obstruction of justice in the Vaccine Injury Compensation Program influenced and corrupted the decision by the Supreme Court of the United States in Bruesewitz v. Wyeth which further deprived all families nationwide of their ability to pursue vaccine injury cases in civil courts.” with the Attorney General and the Inspector General. Please do see that this matter is fully investigated. Please do pay the 5400. Please also set up appropriate compensation for those yet found to be injured under what will be new proper tort proceedings. Accessing Data from Vaccine Safety Datalink is not possible for the public. It appears to be highly guarded information. Please make this information public so we can see what is going on and can all respond to the situation appropriately. Please see that the data from the new “overall” studies is made completely public. Senator Patty Murray it has been under your watch that the department of Health and Human Services has failed to produce the legally mandated yearly safety studies and reports concerning the safety of the vaccine schedule. This has gone on for 31 years of which 26 of those years have been under your watch! The safety of the vaccine schedule remains unknown. The selling and use of these medical products untested for safety as it is currently being done by the CDC, doctors, and chain stores in America is therefore not being done legally (Generic Docket FDA-S-2013-0610-0001). All of this has happened under your watch! Please make the appropriate changes. Thanks! Wow, what other time in history did they ‘burn’ books and censor that they deemed were opposing or misinformation ? Ever hear of freedom of speech, Nuremberg Code, Fascism, Nazi vaccine mandates, book burning, first do no harm, vaccines are unavoidably ‘unsafe,’ the U.S. Constitution… Censorship shows the truth…. in Truth, you allow adults to read and use their minds to discern what is right for themselves and their families. This is what critical thinking, intuition and using your mind to make decisions. In a free world, we don’t need the government, corporations, and the local library to make these decisions for us. It feels like too many are trying.. Facebook, ETSY, Amazon and more… and now the public library have lost their way and will not find themselves on the right side of history. The vaccine damage that has been done to many families will not derail any attempt to silence the TRUTH. You have come between parents; mother and father bears that bear witness to the truth. There is always darkness before the dawn. And the DAWN is coming. The genie is out of the bottle and it can’t go back . Mark my words. I saw Vaxxed…it’s about the CDC cover-up of William Thompson’s statement the he was told to destroy data, but he kept copies. There is still an on-going whistle blower case against the CDC. And, stories of injured children. Everyone should watch it before making outlandish remarks and censoring a true story. Right, and there are other whistleblowers! These number represent 1% of the actual numbers. According to a recent study done by Harvard and paid for by the CDC less than 1% of injuries and deaths are reported. Most Doctors do not know they have to report injuries and that is by design. As you can see the Measles vaccine causes very high collateral damage to children and adults. Parents have a right to not trust Big Pharma especially since the makers of vaccines do not have any liability for all of the deaths and injuries. This is not about censorship; it is about curating what’s best for a library. Noone imagines that libraries should devote a shelf to printouts of the maunderings of pederasts on 8chan, or keep a collection of Isis beheading videos. If librarians feel that vaxx-denialism is based on poor science (or have any reason within reason) they can choose to not make it available. Censorship would involve curbing the sources of of the denialism movement which, on our on-line world, cannot be done. So if we call censorship “curation” then it is no longer censorship? Imagine being so small-minded that you believe this. I couldn’t help but laugh when I read the part about anti-vax groups having a monetary incentive to keep their message going. Are you kidding me? Who has a massive monetary incentive when it comes to vaccines? The pharmaceutical companies that make billions on vaccines! The same companies that have extremely limited liability for the safety of their product. Beyond whether one agrees with vaccines or not, the very issue of this level of censorship is frightening. First, anti-vaccine information, then what? What other concepts will someone else decide is good or bad for you to read or see? Don’t you want to make your own choices? Prevent vaccine injury. Prevent SIDS. Prevent fraud in the CDC … Listen to the personal eyewitness accounts of parents. Pharma ads “own” the press. Dissent on vaccines is not allowed. Now, through fear, they are trying to take away any other sources of valid information that question their product. Also, not sure why some information that is well-sourced with .gov sites is considered “misinformation”… Over $4 billion dollars paid for vaccine injury and death claims per .gov sourcing, clearly shows that the science is NOT settled, and vaccines are not safe for everybody. No medical intervention is! Why would vaccines be magical? There is risk. We have a right to the information about risks as well as benefits. Censorship. Censorship. Censorship. And who decides what is to be removed? And those deciders, they are always right, yes? What if they decided back in 1975 to remove all books referencing low carb diet as dangerous. Where would we be now. What if they just banned butter altogether because, obviously, it was s public health threat. Clearly, margarine is the only healthy thing you put on your morning toast. Hey, I have a suggestion. The USDA just came out with version 5 of its food guidelines, now called myplate. It replaces several iterations of the food pyramid which replaced the four food groups. Hmm. Well we certainly have it all figured out now. So let’s shut down all dissention. Let’s name some other things in recent history that we’re once considered safe…. DDT, lead in gasoline, Mercury in antiseptics (do you remember Mercurochrome? See it in CVS today? ), Aluminum in vaccines… Oh yeah, they haven’t come around to that one yet. Sorry. Get some critical thinking exercise and watch vaxxed the movie. Tell me where the propoganda is please. Instead you will find actual tapes of phone calls with the NOW WHISTLEBLOWER and still employee of the CDC doctor William thompson, co-author of the official CDC study that “debunked” the vaccine autism link. In his own voice he tells you of the fraud. But hey, this kind of information is dangerous. Better to call it propoganda and censor it. Very valid examples! Science is never settled. If it is… It’s because of money, not facts. Censorship in 2019 in the US – and yet those responding to this pressure have not even scratched the surface. Here’s 1,000 studies on autism. http://envgencauses.com The efforts to make ASD look “genetic” have failed. All information should be allowed, even if Big Pharma is sponsoring it. A library is a place to hold books. People go to the libraries and choose the books that interest them. There is no need for censorship. It would be great if they would have books that discuss how vaccines have never truly been tested for safety or how the CDC vaccination schedules have never been tested for safety. That they need to go against a control group that receives a saline solution. That those groups need to stay pure for 1, 5, 10, 20 years so that the two groups can be compared. Can you tell me how many deaths are associated with vaccines each year in the u.s. ? How many severe adverse reactions? Official government stats please. Bet you don’t know how to find this data. Oh yeah, I forget, these things are totally safe and totally effective for anyone that gets these shots, regardless of their health status, genetics, or prior history. Even though no one has ever tested 68 shots if one is ok, surely 68 are fine. Oh yeah. And don’t worry… Monsanto says round up is safe too.. go ahead, spray it all over your food sir. This is not about science, because science hides nothing. Science does not NEED to hide anything because if is able to be replicated, it stands up easily to inspection, debate, challenges, and so forth. It welcomes questioning because it can answer those questions. That is the nature of science. This subject, however, is about censorship. It is about hiding any opposing viewpoints. That is the opposite of what science does. DanO, agreed. However it’s not that simple these days. Purely speaking, yes what you’re saying is accurate, utilizing the scientific method. But in the real world that’s not how it’s done these days, not with the vaccine issue. The CDC is one of the only government agencies of this type whom allows an exception to the conflict of interest rules pure scientists would expect. You really can promote a new item on the CDC vaccination schedule, while also having a financial incentive to do so. Mr Kennedy whom we hoped Trump would promote as the head of a new vaccine investigation panel, he talked all about this. He personally witnessed all the people approving a new vaccine, then rushing into the hallway and ordering investment in that particular product or company. One considers how ingrained the big pharma industry is within medical and educational communities, and we then understand how the mechanisms of funding keep dissenting views out of the educational and well funded research communities at large. You can’t even get into many schools if you don’t comply in the first place. Then we compare the actual educational content students receive about how vaccines work, why, synergistic reaction, long term cause and effect, etc, and we learn they’re woefully under educated on the actual science. Some regular non accredited objectors to vaccines have schooled their medical providers on camera, and highlighted the need for better education from non biased sources, as the providers refuse to furnish actual inserts and instead are only willing to furnish fact pages, and are unable to answer many highly technical questions about adjuvants, additives, efficacy, product safety, synergystic reactions, all of that. The problem with vaccines, is they’re tested in an isolated bubble and nobody has performed detailed broad large sample group studies regarding how the individual vaccines react with each other, as well as examining how the synergystic reaction may occur with other common toxins we may have, like other medicines, glyphosate or other pesticide residue, etc. Not to mention tracing genetic cursors which may be indicators of likely predisposition to danger. Then with the researchers discovering the adjuvants found in unexpected places they’re not supposed to end up, like in inter muscular and inter cranial cists all the years later, we learn that some people are incapable of processing these substances. Now we learn the sub atomic adjuvant approach may be more dangerous approach because of the way aluminum is processed in the body. It’s just all bad. Bounce to known non vaxxed groups vs known vaxxed groups like amish vs, well, everyone else, the stats indicate a high risk of danger. Hush hush, don’t talk about that. I don’t claim to be an expert on the matter, but I’ve read a lot of The Vaccine Reaction Newsletter articles over the several years that NVIC has published this amazing online informational source. My opinion is that we’re simply opting out until the scientific community regains control of their ability to be honest with the scientific method rather than seeking predisposed positions in the interest of profit and gain. When the people supposedly protecting your safety need to erode your constitutional and civil rights at a breathtaking pace in order to force the sale of their products, you know there is a problem. Scroll down on this link for the ever changing ongoing list of regulatory pressure big pharma puts on citizens. Let’s face it, if this was not a subsidized program, nobody would be willing to pay thousands of dollars for vaccines cash out of pocket and they’d be more inclined to be more hygienic, eat safer foods with less chemical pollutants, etc, etc. Now the lists have grown so long for recommended vaccines, parents are no longer clearly aware of whats’ there to protect against lethal diseases, vs what is just fluff added to hopefully help prevent non lethal diseases. The measels mumps is a good example of this unfounded hysteria. There are no easy answers and we simply have said, we don’t have to make up our minds, and we’ve opted out until the scientific community at large can behave in an ethical unbiased way again, hopefully one day in the future. In a free market economy a product sells because it’s effective and the consumers demand it. In a socialistic model you have to buy the product, from only the government approved company, because that’s the law. That’s enough for me, just looking at this below page, to recognize our rights are in danger and that’s why we opted out of all shots, regardless of type or use. Without liberty, life is not even worth living anyways. Liberty first. The scope of injection by lobbyists vs their unwillingness to rather spend funds on better research is a tell al in itself, this below list changes so rapidly over the years, it’s shocking. If the product is so great, why do they need to censor opposing viewpoints and why can’t the refute the claims with science? Tic Toc. Anti-Vaxxers Lack Trust. Here’s Why.